The date’s been set (April 29, 2011), the location finalized (Westminster Abbey)! 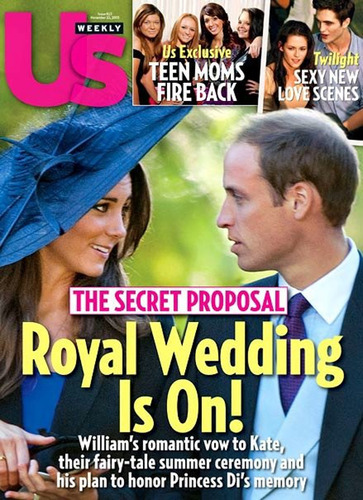 But that’s just the start when it comes to the upcoming royal wedding of Prince William and Kate Middleton. Here’s everything the Prince, Princess-to-be and YOU need to know about royal weddings! Even though he isn’t next in line for the throne, William’s sort of expected to stick to a state ceremony (in fact, they’re calling it a “semi-state” affair). Translation: Will and Kate will host visiting dignitaries and other VIPs, and will also, most likely, have a receiving line with the bride, groom and both their parents greeting and shaking hands with each guest as they enter the reception. Don’t Pick the Wrong Song! 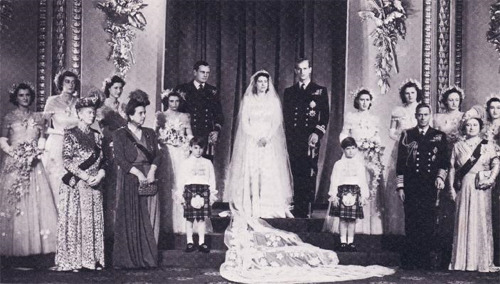 After the current Queen Elizabeth walked down the aisle in 1947, she left her ceremony to the tune of Mendelssohn’s Wedding March. If Kate wants to stick to tradition (and butter up her new grandmother-in-law), we’re guessing she’ll pick that tune, too! 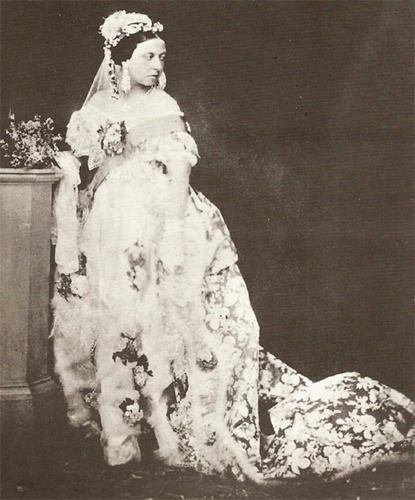 In a formal wedding, the bride usually wears a long, white gown with a looong train (called a “chapel train”), gloves and an optional fingertip-length veil over her face. 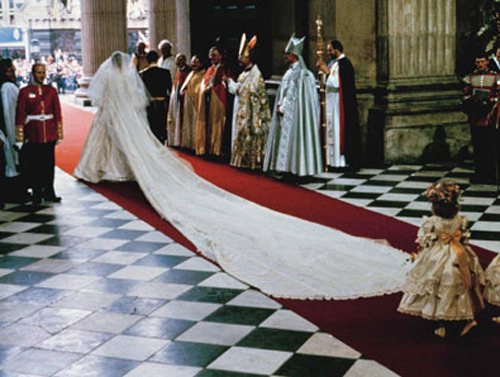 In Very Formal Wedding, the bride needs to step it up a notch with a full-length veil and extended (extra, EXTRA loooooong) cathedral train. We’re pretty sure Kate will be adding her own style to the mix, but she’s got to keep the royal family’s expectations in mind! That means she’ll likely wear a dress that’s grander than most dresses out there. 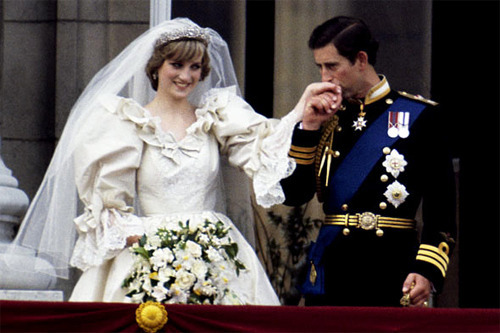 Princess Diana’s over-the-top, ivory, pure silk taffeta gown was very traditional and definitely made a GRAND statement, but it was kinda frumpy. Kate’s way more stylish and not as showy, so she’ll probably keep the ruffles to a minimum. She *may* even wear a gown that’s strapless (gasp!) or done in a different shade of white than traditional ivory. 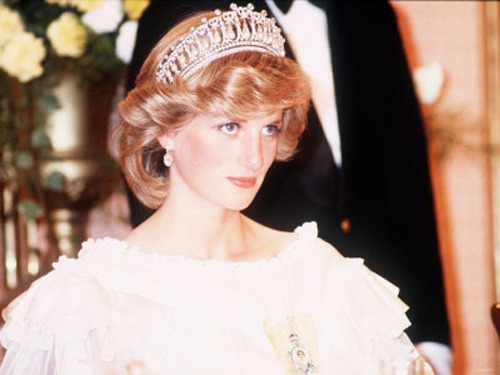 Of course, we’re all hoping and praying she’ll choose to wear a sparkly crown or tiara, as most Princess Brides do – the fact that she’s got Diana’s engagement ring on her finger is a clue to expect to see more family jewelry from the royal family’s collection! When Kate chooses who’ll be in her wedding party (bridesmaids), she’ll probably ask family members and really, really serious BFFs first. Same goes for William. As for the Maid of Honor and the Best Man? It’s pretty safe to say Kate’s younger sis Pippa and Will’s kid bro Harry will be asked to do those important jobs. It’s a royal wedding tradition for a sprig of myrtle, from the bush grown from the original myrtle in Queen Victoria’s wedding bouquet (which she carried down the aisle way back in 1840, at the Royal Chapel in St. James’s Place), to be included in the bride’s bouquet (or somewhere among the flower arrangements for the day). Traditionally the wedding breakfast, which always takes place in Buckingham Palace, includes at least 10 courses, with a menu written in French (that’s the royal banqueting custom). On the menu: cod with oyster sauce, roast leg of lamb, ballotines of duck with Cumberland sauce, pheasant with potato ribbons, pastries with fruit and chocolate profiteroles. Male guests at the wedding will be expected to greet the Queen with a little bow from the neck, while women will give a small curtsey. Guests should NEVER EVER and UNDER NO CIRCUMSTANCES reach out to shake hands with any of the royals (unless one of the royals reaches out to shake hands with you)! In fact, don’t touch them! 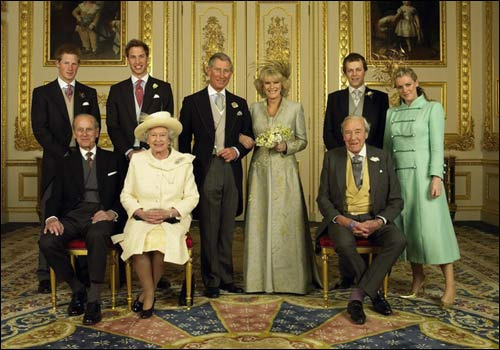 Foreign dignitaries (VIPs from other countries) who are invited to royal weddings usually bring something that represents their country (but regular guests shouldn’t do tha same). That means the Prime Minister of Canada might bring a barrel of maple syrup! And the President of the United States would think about giving…a [kwlink ]bald eagle[/kwlink] as a pet?! Avril Lavigne and Derek Whibley. None of them will last!